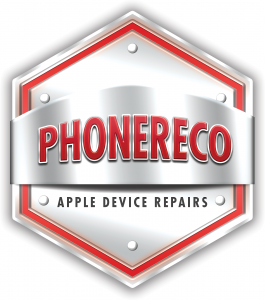 PhoneReco respects your privacy and is always commited to protecting your personal data. Our privacy notice informs you as to how we look after your data. GDPR is Europe’s new framework for data protection laws – it replaces the previous 1995 data protection directive. GDPR came into effect across the EU on May 25, 2018. The PhoneReco is the administrator of your personal data. We are required to store your personal information for the regular processing of doing the repair work. Our system will store this information as requires by any applicable financial record keeping regulations. The data will be only passed to our third party online service software (Repairshopr). data will be processed to create a service ticket, make an invoice & business communications. if you feel you are receiving marketing communication that you did not consent to, please contact us so we can address it immediately. you can download a portable copy of your data. Just download it from your online profile in privacy security option. we accommodate your right to erasure all your data via support ticket. We would like to inform you that the PhoneReco processes your personal data in the form of name, company name, address, delivery addresses, e-mail address, telephone number, IMEI number and passcode (if you wish share with us for testing purposes). Your personal data will be processed until you wish to delete it..
We use an online service software (Repairshopr) which is our subprocessor. What is subprocessor? Repairshopr is a third party data processor, who has or potentially will have access to or process Service Data (which may contain Personal Data). RepairShopr engages different types of subprocessors to perform various functions as explained below. RepairShopr refers to third parties that do not have access to or process Service Data but who are otherwise used to provide the Services as “subcontractors” and not subprocessors. RepairShopr only stores your data with the Privacy Shield covered entities below. We strive to care for and to meet the needs of our customers.